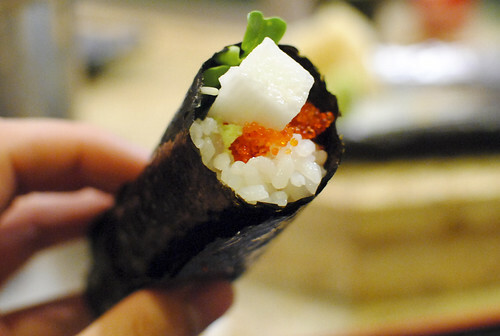 I first heard about Sushi Kimagure in an LA Weekly article from Jonathan Gold earlier this year. 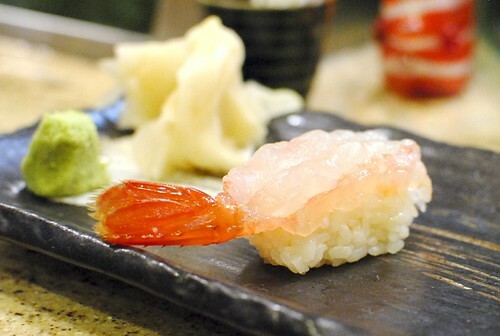 He called it “the best sushi bar Pasadena has ever seen,” not that Pasadena has many notable restaurants. Still, I’m always looking for good Japanese east (or north) of Little Tokyo, and Kimagure sounded like it had great promise. 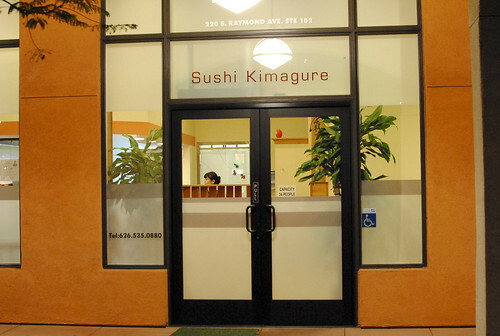 Sushi Kimagure opened last year, when chef Ike-san departed his long-standing (since 1985) Sushi Ike in Hollywood. The new location is very different from the Hollywood Blvd. location in a more quaint Pasadena train station complex shared with La Grande Orange and The Luggage Room. Many of the regulars at Sushi Ike seem to have followed as well, as many of the other parties this evening had developed their relationship with Ike-san at the old location and were eager to share their memories over the years. 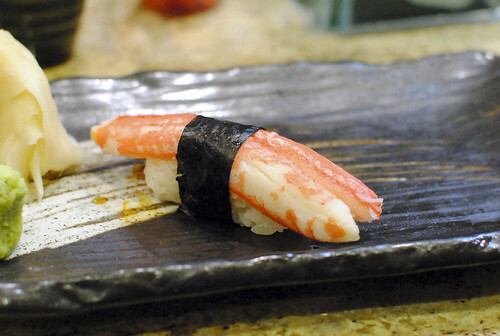 Tables are almost exclusively via reservation and the menu is pretty much omakase-only. There are two different options, an $80 one and a $60 one. The $80 omakase has more of a focus on cooked foods, while the $60 menu is primarily a sushi omakase. We didn’t really know that at the beginning (and it’s not particularly clear on the menu), so we ended up with the $60 meal. Our first dish was this light starter with tart, refreshing flavors featuring crisp onions and fish. Scallions and fish are such a great combination. 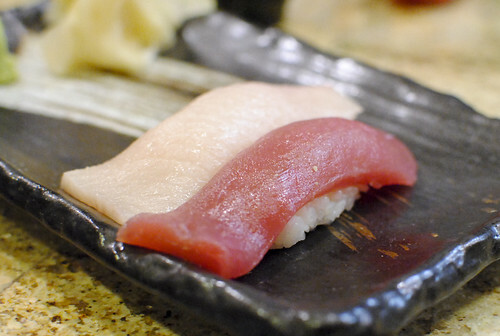 The sushi began with a pair of tender pieces of fish. I thought these were both good. 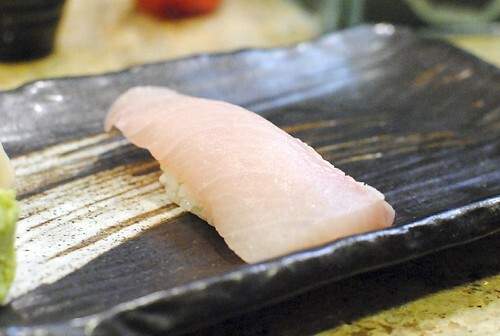 Next, the kanpachi had a clean flavor with a delicate chew. 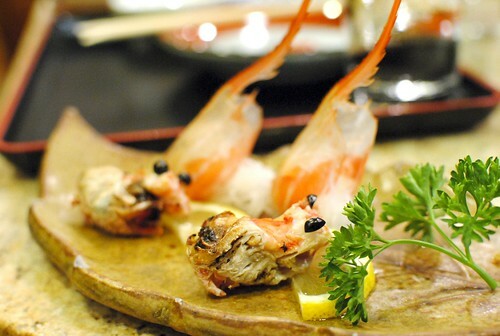 Usually one of my favorites – sweet shrimp was broken down right and sliced right before serving. I noticed some inconsistency in the rice on this piece as it seemed to be packed a little denser, as well as have a little more texture. Pork, scallops, shrimp, and mushrooms were distributed throughout this light custard. Kind of soupy at the bottom. 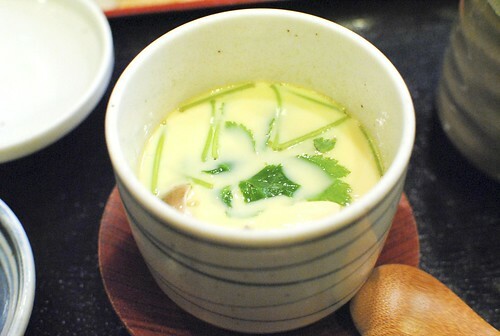 Warm and comforting, I found this to be a welcome intermediary between sushi courses. 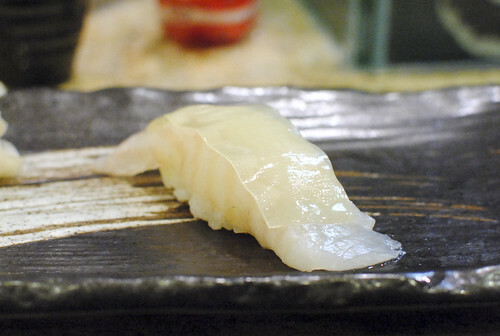 Similar to the kanpachi, this one had a delicate chew too, with a clean flavor of the sea. I thought this was an interesting presentation for the shrimp heads. The interior of the head was removed and plated separately from the shell, leaving the meat without the crunch of the shell. Very different from the fried version. The halibut had a little bit of chew to it, while kelp provided a different dynamic of sea flavor. 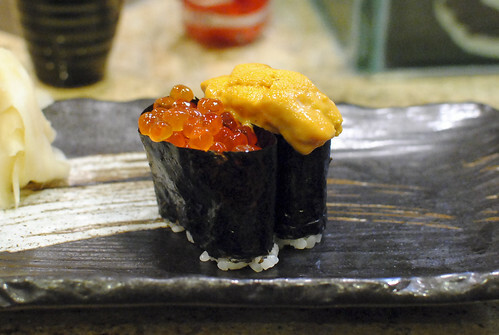 The ikura was a good, albeit typical, example of the eggs, but I found the cool sweet uni to be a top-notch one. Excellent! We ordered another order of the uni later in the meal. 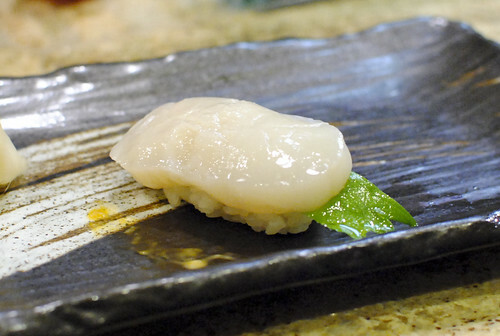 Tender, soft scallop from Japan came next. 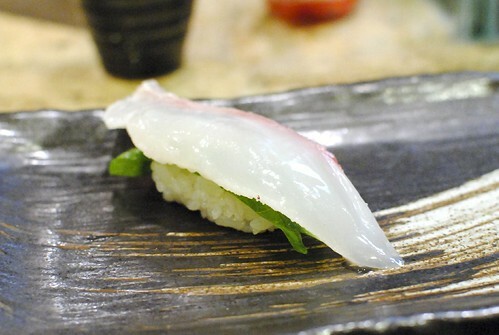 I liked the scallop, though the shiso leaf underneath was a little overpowering for me. This was a unique bite, something I don’t think I’ve had before. 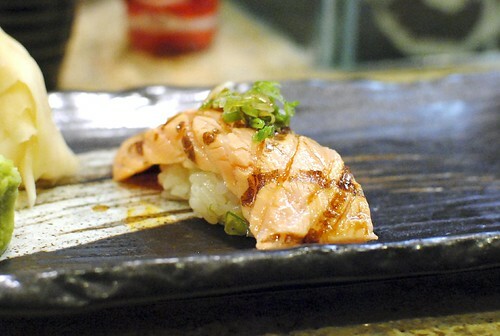 The salmon was seared, providing smoky notes to complement the fatty piece of fish. Fresh scallions provided a nice bite to counter the richness – excellent! I thought the textural interplay was nice here, between the slimy mountain yam, bite of the eggs and crisp sprouts. 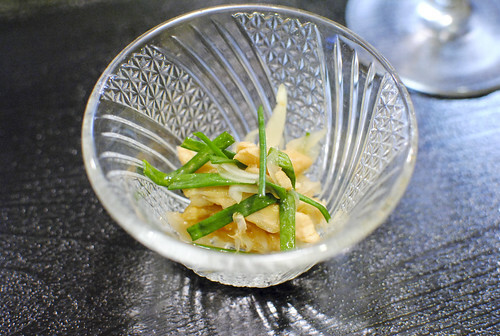 The sweet, succulent crab meat went really well with the soy. I don’t often see large crab legs in sushi form – I wish I did more often. 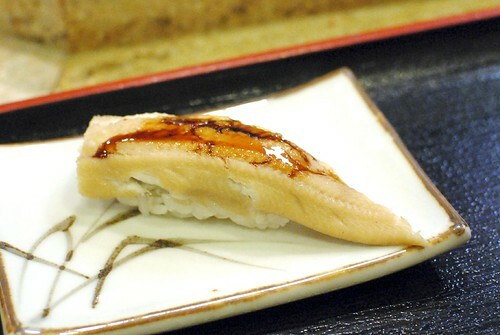 Tender and almost falling apart, I usually prefer freshwater eel but I liked this one quiet a bit. Just a little bit of the sweet sauce complemented the fish. 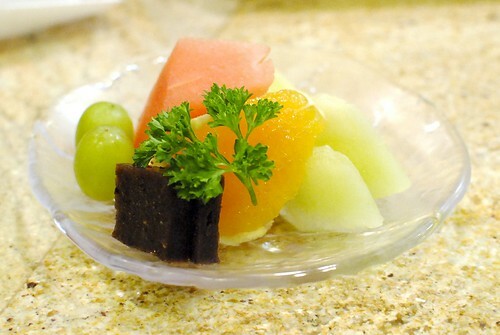 To finish, we had a simple plate of fruit and a red bean jello. 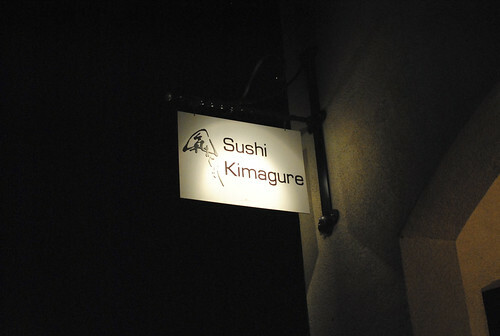 Sushi Kimagure was a good meal. I wouldn’t consider it in any ‘Best of LA’ lists, but I could see how it would be tops in Pasadena. I’d rank it a tier below the likes of second-tier options Sushi Zo and Mori; given the price point though, I think it’s a very attractive sushi bar. For 60 bucks, it’s one of the better sushi meals. The highs were quite high (seared salmon and uni), but the overall meal suffered from some inconsistency. Still, the bad wasn’t really that bad. I’ll be back. I like the sound of this place! Wanna go again?